Since the introduction of the first-generation model in 1995, the Honda CR-V has continuously improved throughout each generation. This latest evolution of the popular compact SUV has been developed to exceed the expectations of customers, with enhanced and unique characteristics. The new CR-V now features a range of sophisticated technologies and superior quality throughout. 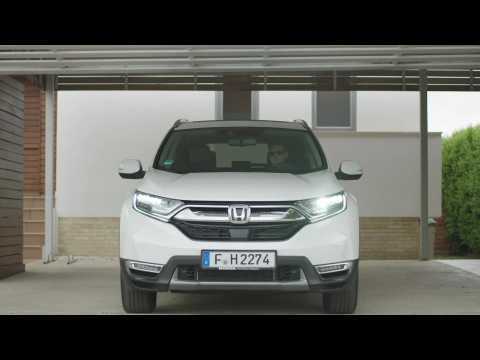 The CR-V has a fresh and sophisticated exterior design, with broader, muscular wheel arches, sharper contours on the bonnet and rear quarters, as well as the latest Honda family ‘face’ with its signature headlight graphic.The new model raises the bar in terms of interior quality, sophistication and spaciousness. Benchmarked against premium-brand products, it delivers improved ride quality, steering response, body control and NVH management. 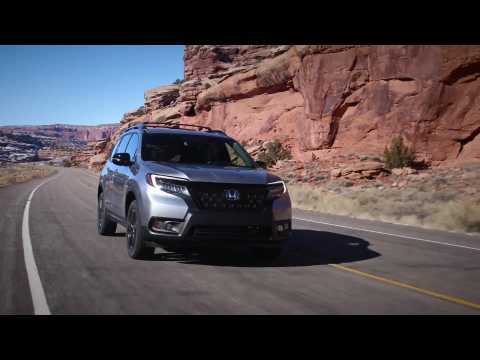 Evolved in every way, the all-new CR-V delivers more comfort, convenience and connectivity than ever before.The all-new CR-V’s slightly larger exterior proportions, longer wheelbase and wider stance enable a significantly larger interior. Best-in-class space efficiency is highlighted by the generous space available for all occupants, as well as a wider, deeper boot with a longer load bay. A hands-free power tailgate enables convenient loading access. The 2019 Honda HR-V arrived in dealer showrooms in the US with a starting price of $20,520 (excluding $995 destination and handling). For 2019, HR-V expands its appeal with the addition of new Sport and Touring trims, refreshed styling, new technology, and a more refined driving experience, adding to an already established reputation as a versatile and sporty 5-door subcompact SUV.For the first time, HR-V now features the Honda Sensing suite of advanced safety and driver-assistive technologies - including but not limited to Collision Mitigation Braking System (CMBS), Road Departure Mitigation (RDM) Adaptive Cruise Control (ACC) and Lane Keeping Assist (LKAS) - standard on EX and above trims, making Honda Sensing available on every model Honda sells.All 2019 HR-V models feature new styling, with revised bumpers, headlights, grille, and taillights, while the new HR-V Sport and Touring trims get a unique look all their own. Blackout trim and 18-inch wheels visually distinguish HR-V Sport trims, while the all-wheel-drive-only Touring trim gets multi-element LED headlights, dark chrome trim, and LED fog lights.Inside, HR-V benefits from a new Display Audio system featuring a simplified interface that includes a volume knob and the addition of Apple CarPlay and Android Auto integration. The navigation system, available exclusively in Touring trims, has also been improved with sharper graphics and 3D landmarks. All models feature a redesigned driver's meter with a large analog speedometer and digital tachometer. EX models and above receive a 4.2-inch Thin-Film Transistor (TFT) Driver Information Interface color display offering additional selectable information including available turn-by-turn directions. The new Honda HR-V is the company’s most sophisticated subcompact SUV to date. Sportier exterior styling is complemented by upgrades to the interior design and materials, as well as a broader range of advanced technologies. The HR-V continues to offer the space and versatility of an MPV and now benefits from enhanced driving dynamics and a wider choice of fuel-efficient engines.From the first glance, the new HR-V’s more elegant features are apparent – including a more substantial interpretation of Honda’s 'Solid Wing Face’ graphic. The HR-V’s tall stature combined with its solid design and strong presence provides a feeling of safety, security, confidence and useability.Inside, the 2019 HR-V offers impressive interior space and – thanks to innovative features like Honda’s Magic Seat system – high levels of versatility. High quality soft-touch materials and sophisticated design elements define the HR-V’s interior as an optimal blend of practicality, refinement and the feel of a sporty, enclosed cockpit.The new 2019 HR-V offers buyers a choice of powerful and efficient engines. Production of the 1.5-litre i-VTEC petrol variants commenced in late 2018, while the higher-performance 1.5-litre VTEC TURBO petrol engine is available from Spring 2019. The 1.6-litre i-DTEC diesel engine is also available in selected markets. All engines are mated to a six-speed manual transmission as standard, while the petrol engines are also offered with an automatic CVT.